On Monday night, the Associated Press reported that Hillary Clinton secured enough delegates to be the presumptive Democratic nominee. It marked the first time in U.S. history that a female candidate had crossed the delegate threshold for a major party. Still, as Clinton herself tweeted in response to the AP report, "We’re flattered, @AP, but we've got primaries to win. CA, MT, NM, ND, NJ, SD, vote tomorrow!" California alone offers 475 delegates. So, if she lost California, could Clinton end up not being the Democratic nominee? Although it is not wholly inconceivable — though highly, highly unlikely — for Clinton not to become the official Democratic nominee at the convention in Philadelphia in July, California won't be the sole deciding reason. California divides its delegates proportionally. Thus, even if Sanders beat Clinton on Tuesday, he may not take away that many more delegates than she would, especially if it's as tight of a race as predicted. Even without superdelegates, Clinton is still beating Sanders by nearly 300 pledged delegates. Short of winning a truly sweeping majority of delegates in California, Sanders wouldn't pull ahead in the pledged delegate count. Also, New Jersey goes to the polls on Tuesday — and Clinton has a double-digit lead in the state, so she will also likely up her pledged delegate lead in a big way there. 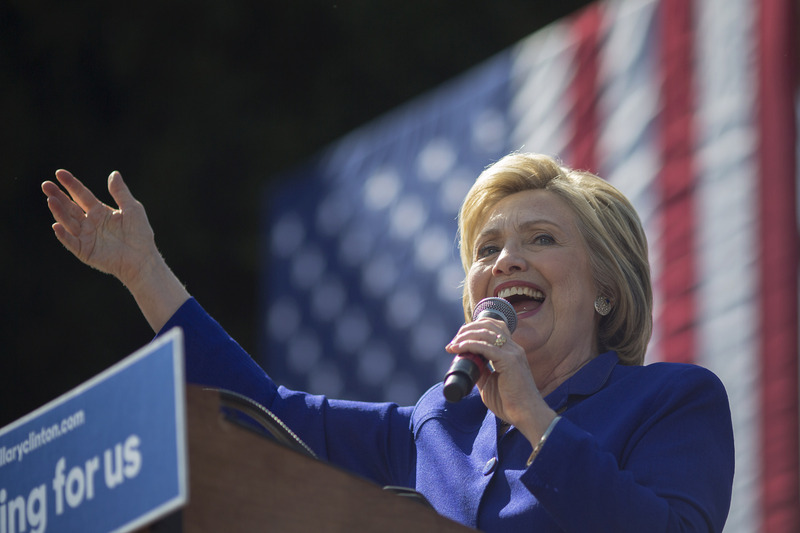 In short, Clinton may not be the official Democratic nominee yet. However, California alone won't be enough to help Sanders block her from the nomination.